Telecommuting — the practice of working remotely from a home office — has recently been increasing in popularity because of its benefits to employers and employees. I have been a telecommuter for almost 10 years and I know from experience that telecommuting allows me to continue to collaborate with my team members and successfully complete major work projects. Global Workplace Analytics notes that over the past 14 years, telecommuting has increased by 140%. In fact, an estimated 4.3 million people work from a home office at least half of the time, a number that is likely to rise. For employees, the benefits of teleworking are substantial. Telecommuting allows workers to enjoy a flexible schedule and increased job satisfaction. By working remotely, employees reduce their commuting time and have more time to be with their families. They reduce the stress that comes from commuting to and from work and they also save on commuting costs and vehicle maintenance. Career opportunities are available anywhere in the world. It often makes for a better work-life balance when employees can easily manage their work schedule around their family’s needs. Telecommuting is a rewarding experience that requires discipline, motivation and independent work skills. I have found that familiarity with technology, organization and problem-solving skills are essential to be an effective and successful telecommuter. 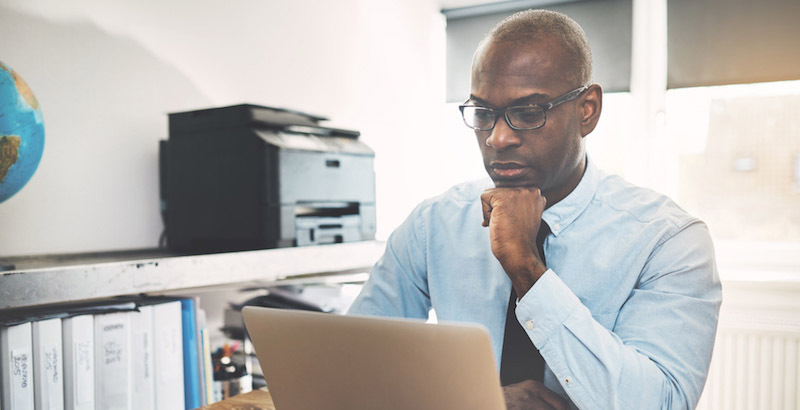 With regard to technology, telecommuters should become fully familiar with the technological tools that connect them to their coworkers. These tools include virtual private network (VPN) services, Internet videos and other connectivity systems that enable employees to plug into the team from home. With these tools, remote employees can attend meetings online and management and team members can see one another from anywhere in the world. Organization, coupled with time management, is also essential for effective telecommuting. Organization is important because working from home creates unique distractions that are not usually found in an office setting. Out of necessity, teleworkers need to set boundaries with family members to reduce distractions. Similarly, a home office should be separate from the family living area. A separate home office will help prevent the misplacement of office materials and confidential work-related products when the employee is out of the office. A separate workspace has an additional advantage. It enables telecommuters to establish personal processes that belong solely to the employee, such as a unique filing system or data management strategy. Time management is also crucial. Telecommuters need to establish an organized daily schedule that creates a proper work-life balance. Establishing and following a remote work schedule will ensure that a teleworker stays on track and avoids procrastination. I begin each day working remotely with a list of tasks prioritized from most to least important. As I go through my day, I follow this list. If I am falling behind or haven’t gotten to a particular task as expected, I adjust my schedule accordingly. This might mean that I work through lunch or I make sure that I complete the most important tasks. Problem solving is another essential skill because supervisors and even co-workers might not be as readily available in a remote environment as they are at work. Therefore, remote employees should be able to solve problems through their own analytical and research skills. Seeking answers in company manuals or by examining past company practices can sometimes take the place of the frequent in-person communication with a supervisor in a traditional office space. Telecommuting can seem overwhelming at first because of the separation from managers or co-workers. However, home-office video recording software, a plan by the telecommuter and the employer on how daily tasks will be handled and good Internet service can lead to success. When determining if telecommuting will work for you, it is important to consider whether you work well independently and if distractions at home can be reduced so you can remain on track throughout the workday. Dr. Jarrod Sadulski has been with the Coast Guard since 1997. His expertise includes infrastructure security, maritime security, homeland security, contraband interdiction and intelligence gathering. He has also received commendations from the Coast Guard. Currently, Jarrod is a supervisor in the Reserve Program and provides leadership to Reserve members who conduct homeland security, search and rescue, and law enforcement missions. He has been a telecommuter since 2009 as an online criminal justice professor.